Woman functional jackets are good for so many reasons. You can wear them when going for hiking or trekking in the woods. All of these activities are good for you as a woman, but you need to make sure you find protective clothing before going out there. Arrak Outdoor woman jacket collection is one of the most exciting clothing materials you can ever find. They offer woman jacket made from high-quality materials that have been sown in layers, to ensure protection, even when you fall during hiking and other activities. Arrak Outdoor is committed to delivering complete functional jackets that are made exclusively to protect the woman’s body from weather and atmospheric conditions. 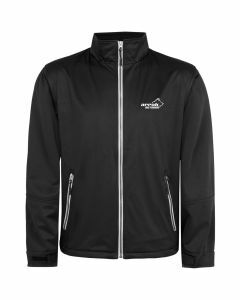 The jackets are also beautifully designed, so the women can also have a sense of fashionista satisfaction there. The knitted microfleece jacket for ladies is also another item that women would love to own. This highly functional jacket is comfortable on the body, has zippered side pockets, available in pink and lime green, and has moisture spreading properties. Arrak Outdoor ensures that all of their product deliver optimum satisfaction for customers.